Stephen Ramsey plays a gun salesman in S06E07 of Entourage, titled No More Drama. 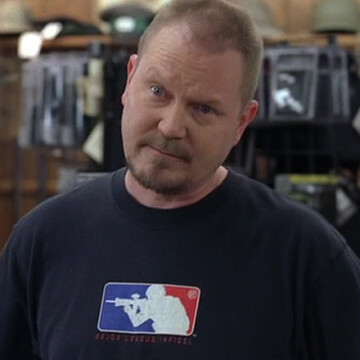 After Turtle and Vince decide to purchase guns in order to protect themselves from intruders, they bring their picks to the counter of Stephen’s character at the episode’s seventeen-minute mark. He informs the guys that California gun purchases are subject to a waiting period of ten days and suggests that they pick up some knives in the meantime.